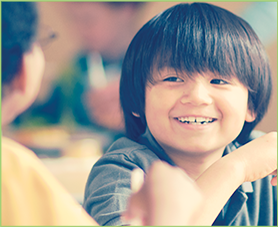 The EpiPen4Schools® program helps improve access to epinephrine in the event a person experiences a life-threatening allergic reaction (anaphylaxis) in the school setting. 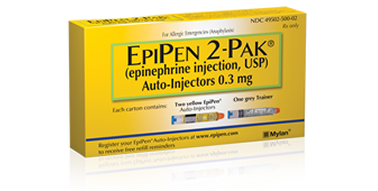 Four free EpiPen® (epinephrine injection, USP) or EpiPen Jr® (epinephrine injection, USP) Auto-Injectors in the form of two EpiPen 2-Pak® cartons, two EpiPen Jr 2-Pak® cartons or one 2-Pak of each kind. Free replenishment product in the event that the free supply is used to respond to a life-threatening allergic reaction. A convenient storage unit, the EpiLocker®, to store EpiPen 2-Pak® and EpiPen Jr 2-Pak® cartons received through the program. How to Use an EpiPen® (epinephrine injection, USP) Auto-Injector, containing instructions on how to use Mylan epinephrine auto-injectors. EpiPen® Trainers, which contain no drug product or needle, to practice administering EpiPen® Auto-Injector. An estimated one in 13 children in the U.S. lives with a food allergy that puts them at risk for anaphylaxis— a considerable increase from previous years. Though avoidance of allergic triggers is the only way to prevent anaphylaxis, the fact is that life happens and it’s possible for someone to experience an accidental exposure or first-time reaction. Epinephrine is the only first-line treatment for anaphylaxis. According to the food allergy guidelines developed by the National Institute of Allergy and Infectious Diseases, if experiencing anaphylaxis, a person should receive an intramuscular injection of epinephrine and seek immediate emergency medical care. Carrying an epinephrine auto-injector does not prevent patients from having an anaphylactic reaction; hence, patients must avoid their triggers at all times. For more information on anaphylaxis or EpiPen® Auto-Injectors, visit epipen.com. * A school will only receive epinephrine auto-injectors in accordance with all applicable laws. A school must submit a valid prescription in order to qualify for this program.